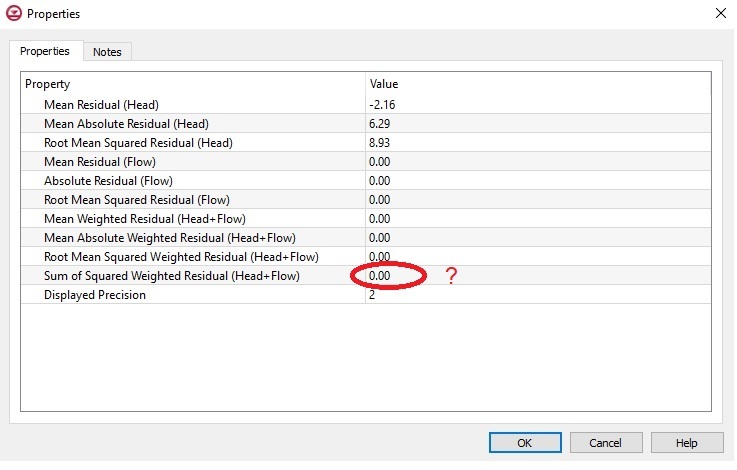 Does anyone know why my GMS- MODFLOW Solution did not calculate the different type of errors e.g., Sum of Squared Weighted Residual (Head + Flow), as shown in this dialog ?. MODFLOW-USG or another version of MODFLOW? Errors for MODFLOW-USG are computed using utilities from PEST. The other versions of MODFLOW do internal calculations for these errors. I was working with the version MODFLOW-2005. 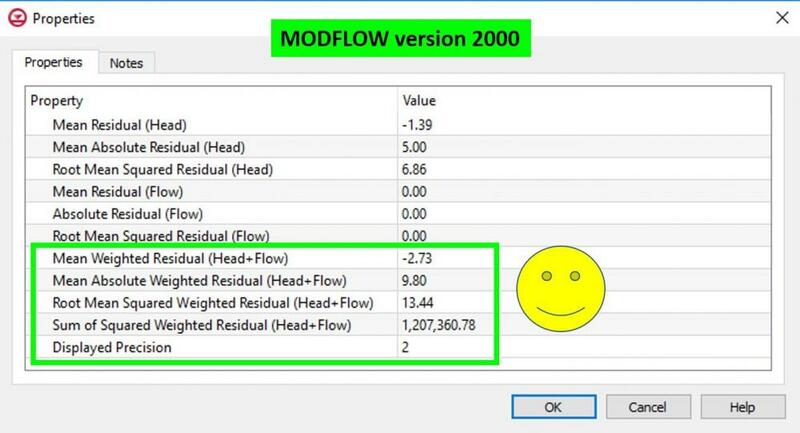 When I switched to MODFLOW 2000 it worked perfectly, as shown in the figure below.